Curtis Iver Olstad, Sr. age 79 of Greenfield, passed away peacefully at home Wednesday, April 10, 2019. He was born March 30, 1940 in Lee Township, MN, the son of Olaf and Cora (Aaserud) Olstad. Curtis was baptized and confirmed in the Lutheran faith at Our Saviors Lutheran Church in Grygla, MN. He was a 1957 graduate of U of M NW Agricultural School in Crookston, MN. He was a patriotic US Navy Veteran and was a proud member of the Backus American Legion Post 368 and Jenkins VFW. In 1968 he received an Associate in Arts degree from the University of Minnesota. Curtis was also a member of the Masonic Star Lodge 62 for over 50 years serving as Worshipful Master in 1981 and 1982 and a Zuhrah Shriner member. He was also a member of the Northstar Chapter of the ICC, formerly known as the ICBO where he was president in 1993 and 1995. Curtis served as a Council Member for the City of Greenfield. His career began as the city inspector for the City of Greenfield. In 1978, he started working for the City of Champlin where he became the first building official until his retirement in 1999. On September 22, 1962, Curtis Olstad married the love of his life, Catherine Roach. They were united in marriage at St. Bridget Catholic Church in Minneapolis. The two enjoyed traveling during their 48 years of marriage before Cathy’s passing on October 26, 2010. The union was blessed with four children: Laura, Butch, Audra and Anna. Curtis enjoyed watching westerns, listening to old-time country music and wintering in Arizona. He loved spending time in Grygla hunting, farming and tinkering with his Allis Chalmers tractors. One of his true happy places was his lake home in Backus where he would fish, sit around a campfire, go to meat raffles and spend time with loved ones. He was a true craftsman who, with the help of his father, built his home that he and his family lived in for almost 48 years. He also built his cabin, some of his children’s homes and many other projects. Along with this, he instilled a hard work ethic in his children which has served them well throughout their lives. 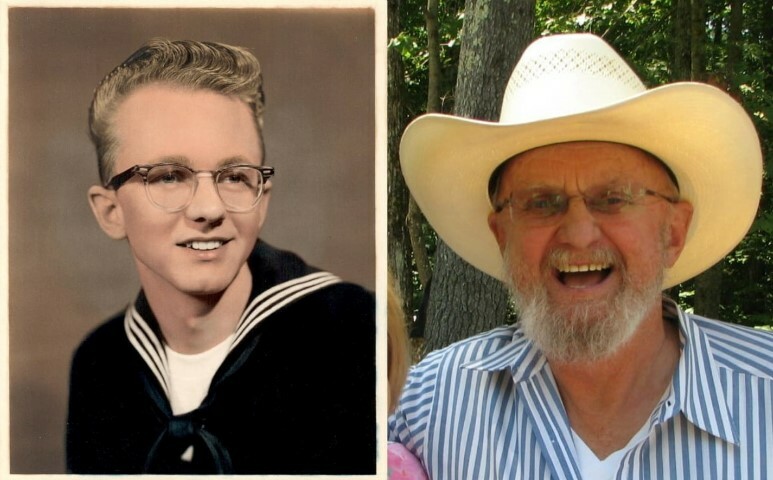 He greeted everyone with a “Howdy, Howdy” and those who knew him well know that he loved to spend time celebrating and socializing with family and friends for any occasion. He is preceded in death by his wife, Catherine Olstad; parents, Olaf and Cora Olstad; and sister, Marian Schroeder. Curtis is survived by his children, Laura Sundell, Curtis “Butch” (Tammi) Olstad Jr., Audra (Brad) Etzel, Anna (Trevor) Palmer; grandchildren, Brett Sundell, Kayla (Ryan) Stevens, Mattia Olstad (Ellis Riley), Hanna Olstad, Meg Etzel (Eric Carlson), Natalie Etzel, Samantha (Devin) Hopkins, Sophia Palmer, Stella Palmer, Suzi Palmer; great-grandchildren, Ryker Stevens, Stanley Etzel; sisters, Olive (Tom) Pinske, Sharon Ellingson, Janet Kostick; Goddaughter, Suzi Jaworski; and many other family and friends. As Curtis might say, “Bye for now!”: A visitation will be held Sunday, April 14, 2019 from 2:00 to 6:00 PM, with a Masonic Service at 2:00 PM, at The Peterson Chapel, 300 Main St N, St. Michael, MN. Funeral services will be held Saturday, May 11, 2019 a 1 PM, with visitation one hour prior, at Our Saviors Lutheran Church, 37408 Hamre Rd NW, Grygla, MN. Burial will be in the church cemetery. In lieu of flowers, memorials preferred to Our Saviors Lutheran Church in Grygla or Masonic Star Lodge 62 in Rockford. Serving the family is The Peterson Chapel in St. Michael. 763-497-5362. www.thepetersonchapel.com. And, Johnson-Green Funeral Service in Thief River Falls. 218-681-4331. www.johnsonfuneralservice.com. Dear Curtis; I just want you to know that I had a lot of respect for you and you were a great grandfather, and a very calm man. I was very sad to here that your time was coming to an end. You were a genuine good ol boy. I’m gonna miss you Curtis, we will never forget you, it was a pleasure to have known you. Rest easy SIR. He must have been an amazing man, very loved. Wish we would of got to meet him, however Kayla loved him very much and so glad he got to hold and love on Ryker. With thoughts and prayers for your family at this time. He’s at peace and in no pain. I worked with Curtis at Champlin. He was the most wonderful man and always treated everyone like family. He will be so missed on this earth. I bet Cathy sure is happy to see him again. Love to the entire Olstad family. Condolences to the entire Olstad family. Curt was a Good-Ol Boy, and there’s not many of them around anymore. Rest in peace my friend. © 2003-2018 Peterson Chapel. All rights reserved.